I have a confession to make. I don't know" Naples as well as I should. Yes, I've visited, but I've never really discovered the soul of the city. Naples is not for the faint-hearted and it is difficult to really appreciate, to fall in love with, on your own. You really need a local to show you the city. Describing Naples is impossible, you have to live it! My name is Andrea, I was born in Naples 38 years ago, and I will live in this fantastic city forever. There is no city richer in flavors and aromas, history and culture, the magical and warm atmosphere of Naples is unique in the world. This is the city, whose legendary birth is linked to the myth of the siren Partenope, it is the ideal destination for a weekend of art and good food. The best way to experience and visit one of the world's most effervescent cities is to be guided by a local. 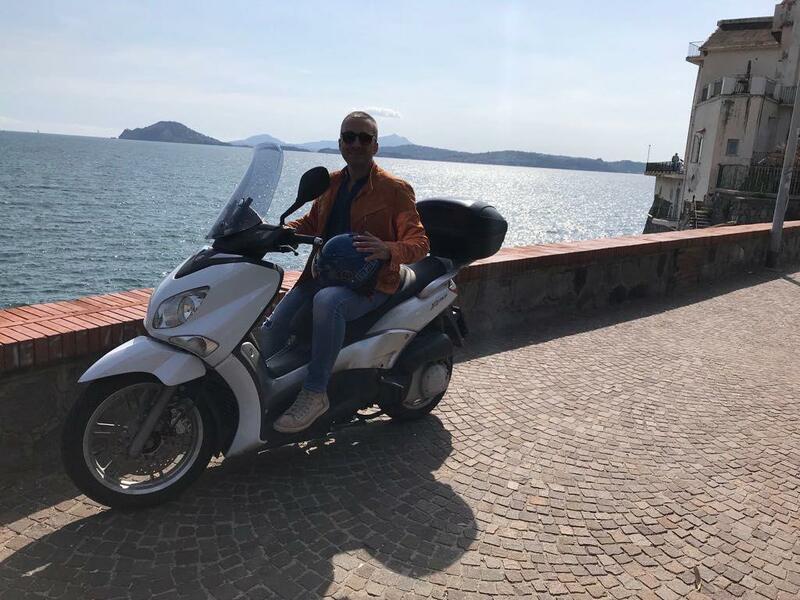 This is why I created Private Scooter Tour in Naples, a new and original way to visit the city, to allow tourists to discover magnificent places, without wasting time between guides, maps and travel between the various tourist areas. All in the saddle of a comfortable scooter that crosses the most characteristic "alleys" of the city. 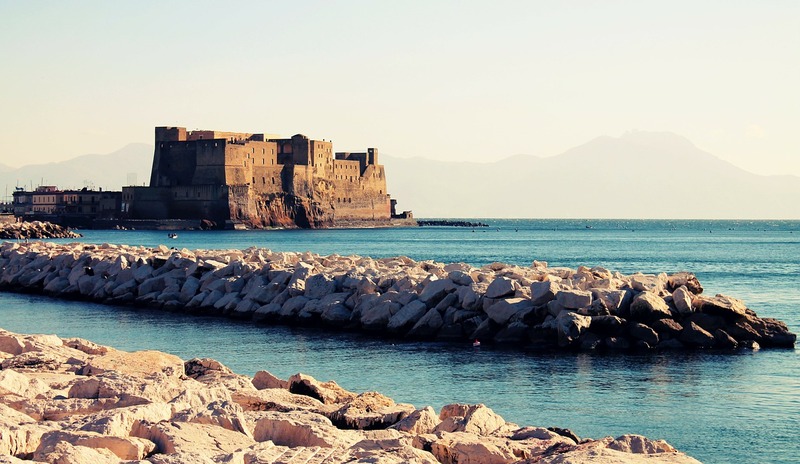 Get on board and discover the many surprises of Naples! Spaccanapoli is a taste of everyday life in the city. From the hilltop district of Vomero, from the top of the San Martino museum, one can understand the reason for this name (which means breaking Naples in English): the road bisects the historic center of Naples, marking a straight line from the Quartieri Spagnoli to the Forcella quarter. 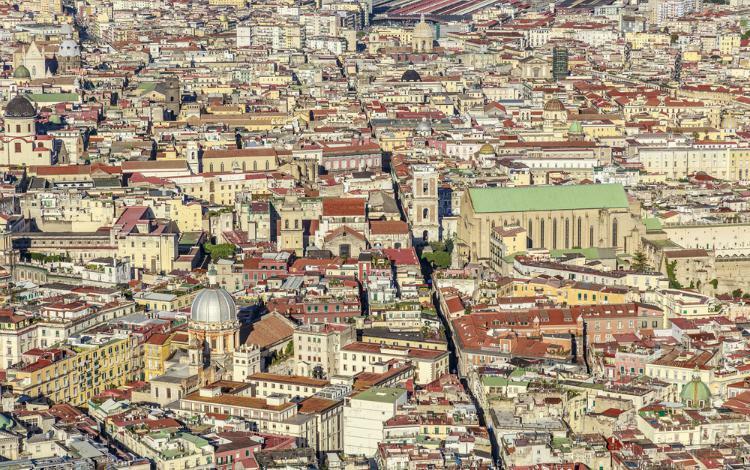 Seen from above, the color scheme that characterizes the historic center will strike you immediately, it makes Naples one of the most colorful cities in Europe. Spaccanapoli contains all the essence of Naples: the splendid monuments, the workshops of the artisans, the many nativity scenes and the unmistakable aromas of delicious local cuisine and flavors that tempt until late at night. An historic center that has over the centuries maintained its typical features and traditions. Along the way, you can stop and admire the Monastery of Santa Chiara which, together with the adjoining church, is the largest Gothic complex in the city. The majolica cloister is an authentic jewel and will leave you breathless for the ancestral feeling of majesty and perfection that it is able to transmit. More than a dish, a symbol of identity and tradition of a people. 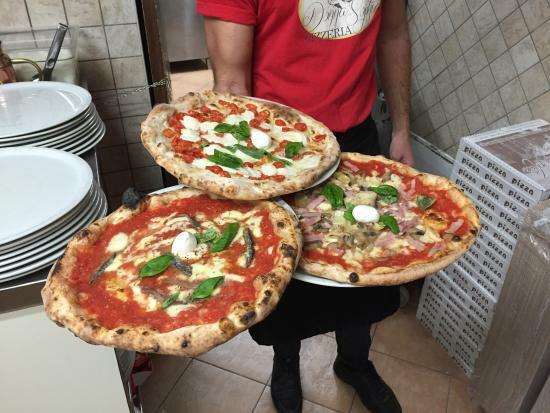 Neapolitan pizza, now known and exported all over the world, has become in itself an attraction when you visit Naples! Margherita, marinara, and many more - all characterized by the wonderful mozzarella and tomatoes - the best in the world! In Naples you are spoiled for choice, but I highly recommend the pizzerias that are located at the Decumani and in particular Donna Sofia. In one bite, you will savor centuries of tradition and skill. It is no coincidence that recently UNESCO recognized the Art of Neapolitan Pizzaiuolo (pizza Making) as a "Cultural Heritage of Humanity". 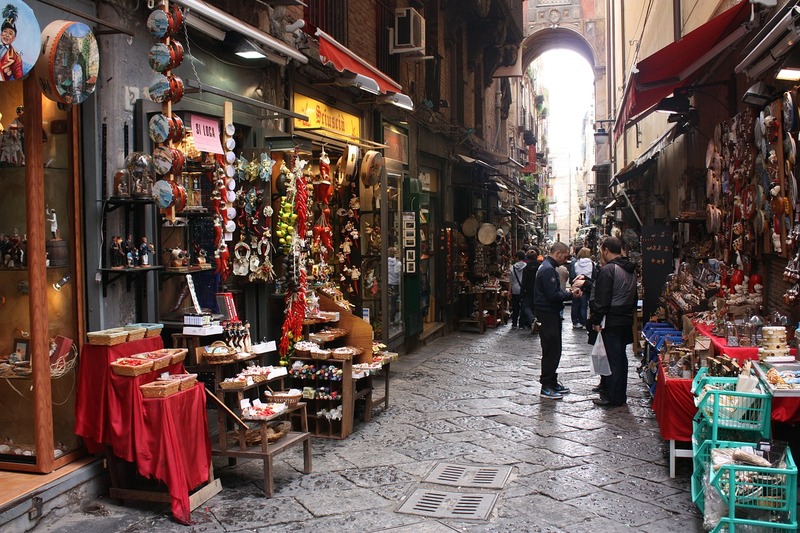 It is one of the most famous streets of Naples, celebrated all over the world for the excellence of the nativity scenes. At Christmas, in fact, it is literally besieged by visitors from all over the world who remain speechless in the face of the creativity and talent of the Neapolitan nativity scene masters. The artisans of San Gregorio Armeno, in their ancient and charming shops, have been building statuettes of every kind and dimension for generations and they love representing the most famous figures in politics, entertainment and culture as well as building their more traditional nativity scenes. One of the most beautiful squares in the world, a place for concerts and unforgettable events. Piazza del Plebiscito is a symbolic place of Naples. It is located between the end of Via Toledo, between the major shopping streets of the Neapolitan capital, and after Piazza Trieste and Trento, and the Lungomare. It is one of the most famous squares in the world, thanks to the wonderful Church of San Francesco di Paola and the spectacular colonnade. By day and by night, it is full of visitors who enjoy the spectacular walk, with a view of the sea, the San Carlo theater and Palazzo Reale, and often take the opportunity to stop for a nice souvenir photo in a symbolic place in Naples. One of the reasons that makes Naples special in the eyes of the world is certainly its link with the sea. You can not miss a walk along the Lungomare Caracciolo up to Castel dell'Ovo. Walking along the Lungomare Caracciolo, you can admire the marvelous view over the Gulf of Naples and the island of Capri. At the end of this walk, here is the majestic Castel dell'Ovo. Built on an islet, it is one of the oldest castles in Naples and takes its name from the legend that Virgil has placed in its basement an egg which, if ever broken, would cause a series of disasters for the city (by the way: if you are interested this and other legends related to Naples, I recommend the beautiful novel by Antonella Cilento, "Morfisa or the water that sleeps"). From the terraces of the Castle it is possible to admire the entire Gulf of Naples, while behind lies the entire city. The Virgilian Park is certainly one of the most beautiful and scenic places in the entire city. 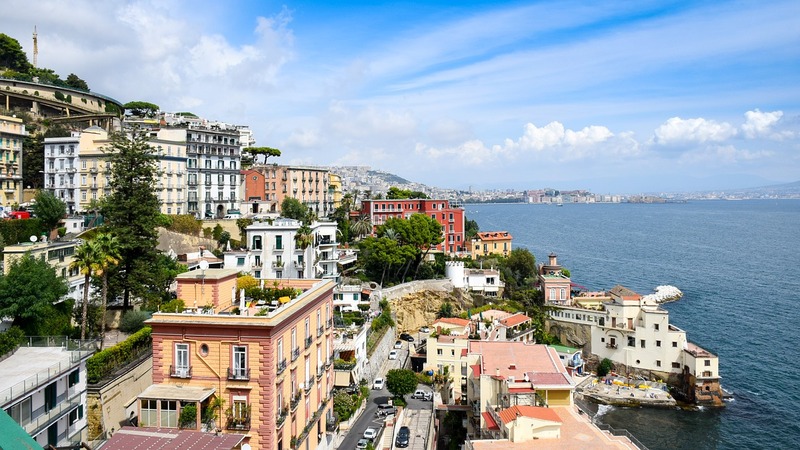 A system of terraces overlooking the main wonders of the Gulf of Naples. In fact, at a glance, it is possible to admire the islands of Procida, Ischia, Capri, the gulf of Pozzuoli, and even the historic center of Naples. A sunset from up here, I assure you, is unmissable! The Park is also one of the city's green lungs, where you can stroll, relax, do yoga, read a book. 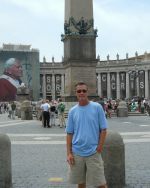 I hope we meet in Naples sometime soon so that I can share my city with you in person. In the meantime here is more about my tours.